Sia released today the music video for her song "Free Me," with 100 percent of proceeds for the single going toward the #endHIV campaign. 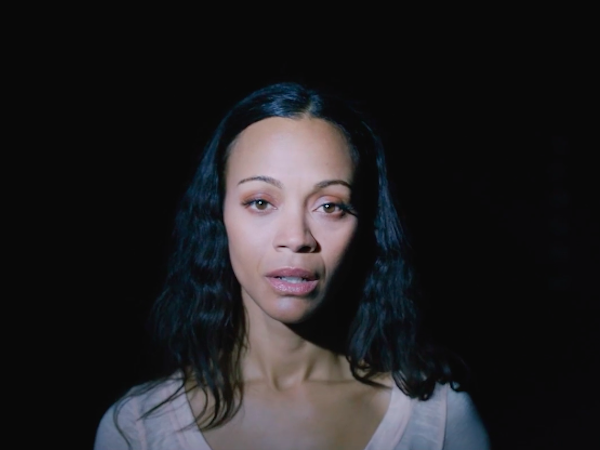 The video features Zoe Saldana as a woman who's just been diagnosed with HIV, before breaking into some emotional, classically Sia dance moves and arm thrusts. Julianne Moore narrates the scene, as Saldana sits in a doctor's office and learns of her diagnosis. #EndHIV is an initiative of the Abzyme Research Foundation, which believes they've discovered a cure for AIDS through the use of an antibody, called an abzyme "Our immediate goal is to raise the funds needed to commercially manufacture the vaccine to FDA standards and to gain FDA approval for a human clinical trial," says the Foundation on their site. Sia's new "Free Me" video concludes with a sobering statistic: HIV is the number one killer of women of reproductive age around the world. Watch, below.